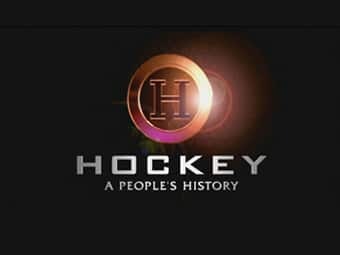 In 2006, the Canadian Broadcasting Corporation (CBC) aired a 10-part series entitled Hockey: A People’s History (HAPH). Adopting the approach used in its popular 2000 miniseries Canada: A People’s History, the CBC focused in this series on the experience of Canadians with the sport of hockey for over a century. Beginning with early ball and stick games played in various societies over human history, the documentary quickly moves on to introducing European ball and stick games played on ice and First Nations baggataway (the forerunner to what became institutionalized as the sport of lacrosse) as the predecessors to modern hockey. After this very brief homage to hockey-like folk games, the documentary discusses the early organization of ice hockey by amateur athlete in Montreal and proceeds from there to focus entirely on the development of hockey in Canada over a roughly 125 year period. If the recent NHL lockout taught us anything, it is that many hockey fans conflate the sport of hockey with the world’s elite men’s league. The hegemony of NHL hockey is reflected somewhat in HAPH, as the series focuses heavily on the North American league—and, in particular, the historic rivalry between the Montreal Canadiens and Toronto Maple Leafs. However, it is to the credit of HAPH’s producers that the series frequently provides stories that are decidedly outside the NHL realm and the mainstream of hockey history. Highlights include an overview of the Alkali Lake Braves, a team of First Nations players that dominated the Northern British Columbia league in the 1930s and held its own when it was invited to play professional squads in Vancouver; extensive coverage of women’s hockey, including the struggle for legitimization of the women’s game, throughout the twentieth century; analysis of the significance of hockey in French Canada and Quebec; and discussion of racial minority trailblazers like Willie O’Ree, Fred Sasakamoose, and Larry Kwong. The series even devotes a fairly lengthy chunk of time to Herb Carnegie, a black Canadian who never made the NHL despite prodigious talent. The series also does a good job of providing at least a little bit of historical context to certain developments in hockey. For example, the sociopolitical impacts on hockey of major historical periods such as the First and Second World Wars, the Great Depression, and the Cold War are introduced. The impact of the US legislation Title IX, which opened up new opportunities for women to participate in sport at an elite level, are discussed in the context of the resurgence of Canadian women’s university hockey in the early 1970s. That being said, the series shies away from taking too critical a stance toward structural barriers of racism, sexism, and other forms of discrimination in Canadian society. Potentially controversial historical details, such as Canada’s racist immigration policies or the devastating impact of residential schools on Aboriginal cultures, are not discussed. In this sense, the series fails to properly situate the development and progression of Canadian hockey in its proper historical context. On a related note, HAPH often shuns detailed discussion of broad social issues, events or trends for the celebration of individual narratives. On the one hand, this is not surprising given the television medium and the impact that narrowly focused case studies can have on viewers. And, to the credit of the producers, the show frequently showcases voices that are decidedly outside the mainstream of hockey culture and history (although famous hockey figures such as Conn Smythe, Frank and Lester Patrick, Maurice Richard, and Wayne Gretzky also get lengthy coverage). Nonetheless, this focus on a small number of individuals has the effect of pushing important historical, social, and political issues to the background and placing the focus squarely on a handful of individuals – albeit, an admirably diverse cast of characters. HAPH unfortunately misses a few significant issues or events in Canadian hockey. The series typically shies away from labour issues, particularly looking critically at the economic structures of the sport and the cartel-like system of the NHL. It also places little focus on junior hockey and the impact of the Canadian Hockey League at a local level, both positive or negative, in Canada. Glaringly absent was a discussion of the Graham James sexual assault case or of the less well-known instances of sexual violence perpetrated against women in some junior hockey subcultures. Another missed opportunity was addressing the controversy surrounding CBC commentator Don Cherry, a fact that is perhaps not surprising given that he works for the network that produced the series but is nonetheless disappointing given his prominent TV platform and influence within the sport. Despite these criticisms, there is much enjoy and appreciate in HAPH, and the series gives attention to many important yet overlooked aspects of and people within the sport of hockey. It is certainly worth watching and has a good amount of educational value. I have used selective clips from the series in the undergraduate course I am currently teaching, and it has certainly been a valuable supplement to my lectures and the course material. HAPH is overall an impressive series and it is a credit to the CBC that it took a chance on producing the series. It would be great to see the broadcaster produce some updated episodes, perhaps focusing on issues such as the struggles of the Canadian Women’s Hockey League to enter the national sporting mainstream or the significant efforts of the You Can Play Project. Given the significance of hockey to Canadians in a diversity of locations and cultures, HAPH is certainly a worthy effort by the nation’s public broadcaster to explore the experience of Canadians with the sport over the past 125 years.